Even when a divorce is not especially acrimonious it is still a painful experience for most people. You can go through many emotions after a divorce that can range all the way from outright fury down to a feeling of complete helplessness and loss. The mixed emotions are just one of the things people don’t tell you about divorce and here are ten more. It would seem that equality of the sexes hasn't quite reached as far as divorce settlements yet! When a man gets divorced and there are children involved he can end up paying for two homes, plus all the travelling expenses to go and visits the kids. We all know the jokes about the in-laws but, I actually go on quite well with my ex-wife’s family. One thing I had never thought about before my divorce is that I wouldn't see any of the wife’s family again. That was brought home to me quite recently, when I felt that I couldn't attend my ex-wife’s grandfathers funeral; a man that I had a great deal of respect for. This was certainly a thing that my ex-wife couldn't get her head around at first. I don’t believe that either partner, male or female, has a right to expect money from their ex for themselves. Maintenance should be for the upkeep of the kids, not the ex-wife. Thankfully, my ex seems to have got that message now. You will also find out that some of your friends were in fact, friends of the married unit, not friends of the individuals! To be fair, I guess it is difficult to be friends of both parties involved in a divorce as you would always be worrying about getting dragged into disputes. It’s probably even more awkward when one of the couple first turn up with a new partner in tow. Once the bitterness, the tears and the anger die down, you are left with a kind of hollow lonely feeling. It takes a while to build a new group of friends and learn to be wholly independent again. 6. You have to do everything for yourself! Then, of course, there are the pure practicalities to deal with. You are back to doing all the washing and cleaning and other chores, all by yourself. I’m not being sexist here, this does work both ways, you suddenly find that no one will get dinner on, if you’re going to be late home, and no one is there to take of the kids, if you have a cold. I know people are just trying to kind, when they say things like ‘I’m so sorry’. Please! No one died, we just got divorced, and that’s all. Divorce is painful business, I’m saying that it’s not, but, you will find yourself enjoying some of the new freedom that you find that you have. Grab a beer and a Chinese takeaway and slob out in front of the TV. There’s no one there to moan at you anymore! When those bits of paper finally come through declaring that you are no longer married, then that can come as a bit of a shock to the system. 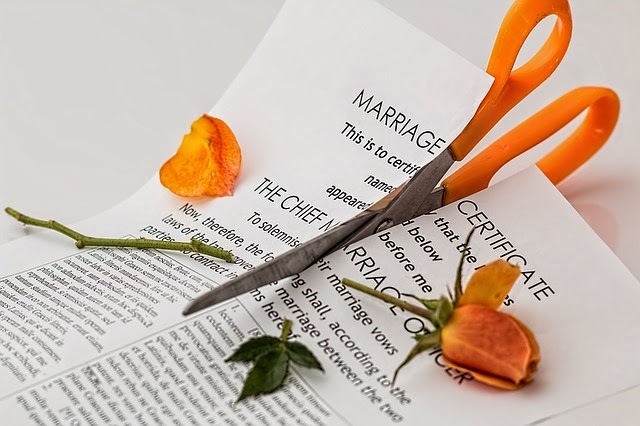 Just when you think you are over the separation, you suddenly get the final legal declaration that a chapter of your life has come to an end. Personally, I never hated my wife and parted on fairly amicable terms. It still hurt like hell at the time and I do still, occasionally, miss her. You do get used to it though, and the dust will settle. You just have to get on with life the best that you can. You do survive divorce and you can be happy again. You have no choice in the matter really.